I love the fact that in addition to giving us a great shot of the varied bark colors and textures, it gives us a sense of the large size of the trunk. 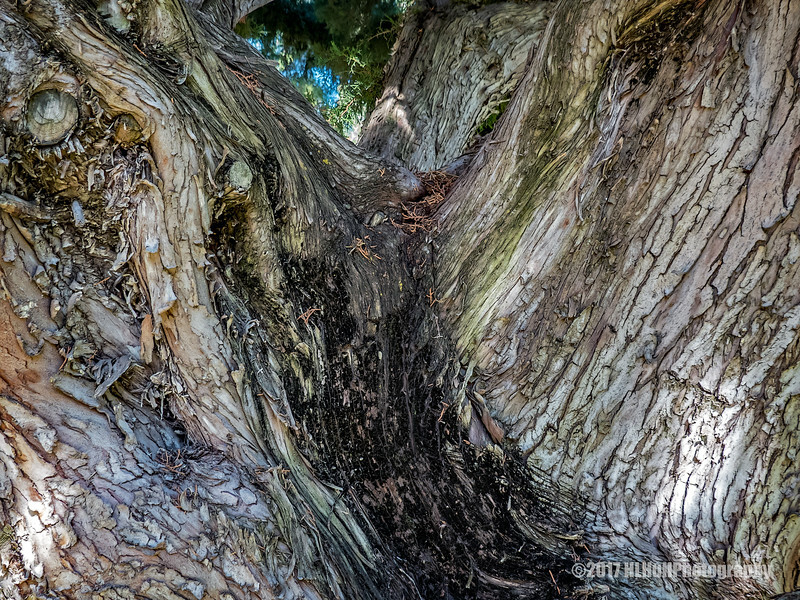 Great close-up of this gnarled old tree! Amazing textures & detail, love the flowing lines of the bark! Extraordinary textured bark !! Excellent find and composition !! Creative composition with fantastic textures.